This finely designed Worldwide Homefurnishings Inc. bench is exactly what you need to complete your space. A metal finish in black is sure to add contemporary flavour to any room. Your home will benefit from the unique and well-constructed black frame. Complete your space with this skillfully designed !nspire bench. The combination of a metal base in a white finish is perfect for adding a contemporary feel to any room. The black frame is durable and elegant for your home. Enjoy this decorative combination of style and function with this single bench from CorLiving. Upholstered in black bonded leather the LAD-209-O is easy to wipe clean with a damp cloth and provides a practical solution as extra seating at a table. Adding a touch of style to your home decor with a foam padded seat surface accented with contrasting white top stitching. This functional small scale single bench can easily be tucked out of the way or be used as an accent piece anywhere you need it most. 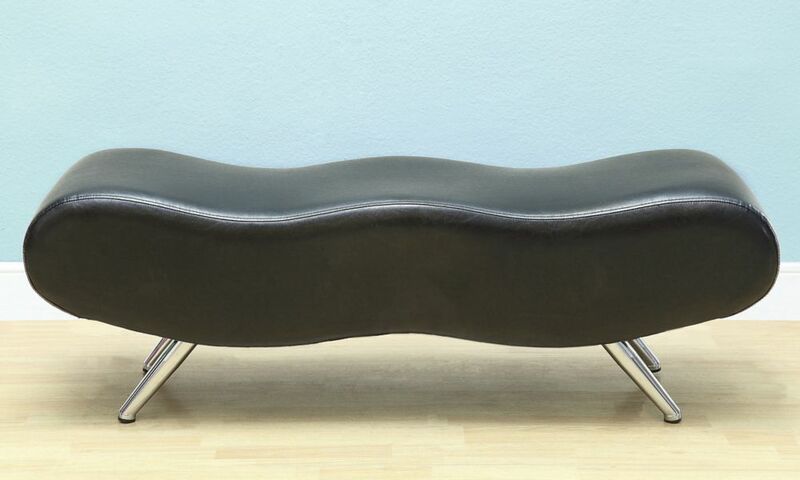 Stealth II 16-inch x 17-inch x 49-inch Metal Frame Bench in Black This finely designed Worldwide Homefurnishings Inc. bench is exactly what you need to complete your space. A metal finish in black is sure to add contemporary flavour to any room. Your home will benefit from the unique and well-constructed black frame.